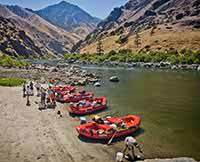 From day 1, it was an amazing experience rafting in Idaho's Hell's Canyon with Connie (she's a legend), Walker, Will, Miles and Bethany as our guides. 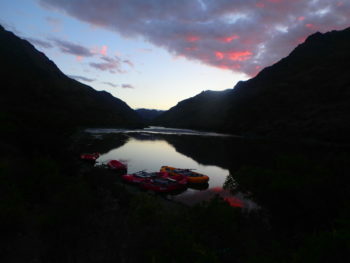 Their love of the Snake River and all that it offers made the whole experience what it was: amazing. Their cooking skills, making sure we had a good time, setting up our camp everyday, the way they handled the rapids, hikes, helping us identify plants, and showing and telling us the history of Hell's Canyon made for a great time in a beautiful place. Also, their tolerance of bad jokes and singing was really appreciated :P I can't recommend it enough!